Yes, peanut butter and syrup cookies with only three ingredients that will bowl you over with good taste and childhood memories. It’s time for #cookieofthemonth where several of us bloggers get together and using a common ingredient, we put our best cookie recipes out there for you! 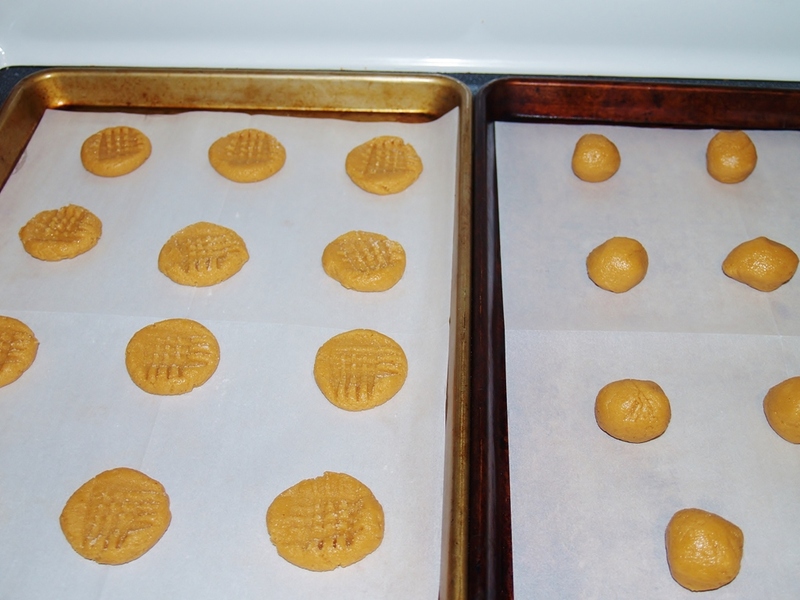 After mine, check out the links below for even more peanut butter cookie goodness. As I watch the Mad Men Marathon culminating with the final episodes ever, I sit alone smiling as I think of coloring books, Saturday morning cartoons and eating peanut butter and syrup sandwiches with just the right ratio between the two. I like maple syrup however Mr. Picky Eater is a clear Karo man. Yes, we still eat them occasionally, don’t you? Mine drips out the side and glops onto the plate but he carefully spreads the peanut butter over a slice of bread and then drizzles syrup on top, eating with a knife and fork, neither of us likes how the other eats it but we both have it once in a while. Back to Mad Men. It’s also Easter Sunday after lunch and egg hunting and mom visiting…….but it’s also raining and cold. I want something warm and crunchy like a homemade cookie but there’s only MPE’s Chips A’Hoy in there. 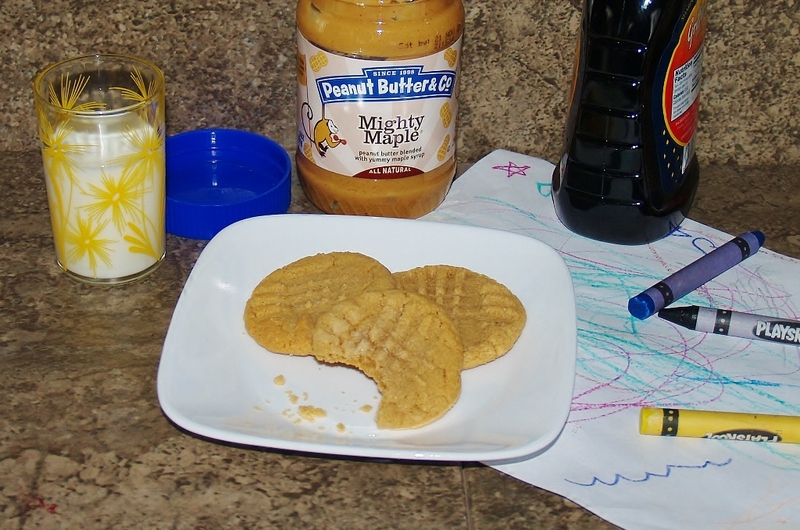 I want to make a peanut butter and syrup sandwich but it’s not crunchy – I only like smooth – and then a light bulb goes off in my head……….peanut butter and syrup cookies! They must be easy and really taste like the sandwich without the bread. Using a hand or stand mixer, mix the sugar and egg until well blended. Add Mighty Maple Peanut Butter and mix very well. Shape into 1 inch balls and put on cookie sheet. 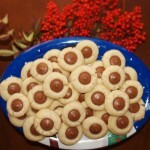 Using a fork dipped in the sugar in the saucer, make the crisscross pattern in cookie. Bake in a preheated 350F oven for 10 – 12 minutes. Take them out and let them cool a couple of minutes then put them on a wire rack to cool completely. It makes 2 dozen and you will eat every single one – while coloring – and then you will blame it on your children………or your grandchildren, whichever the case may be. Now, please enjoy all the wonderful recipes below from my blogger friends that have made some great cookie recipe for you. I’ll be back on Wednesday for blogger CLUE. I am showing off all these recipes at Weekend Potluck – why don’t you come on over and check it out? I’ve never thought of combining peanut butter and maple together! 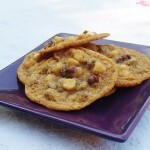 These cookies sound like the perfect rainy-day afternoon treat! Pinned! Have a great week! My kids would go crazy for these ! Pinned! My favorite go-to as a child was peanut butter (but I like extra crunchy) and honey swirled together and spread on a nice soft slice of bread. 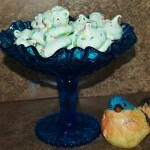 These cookies look chewy and wonderful, Kellie! I just discovered the perfection of peanut butter + maple syrup sometime in the last few months. A new favorite, for sure! Mmmmm…peanut butter with syrup…. That’s a combo I never had when I was a kid, I was a strictly PB & strawberry jam kinda gal. 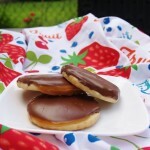 This sounds delicious and I love that you used it as inspiration for these cookies. They look fantastic, Kelli! 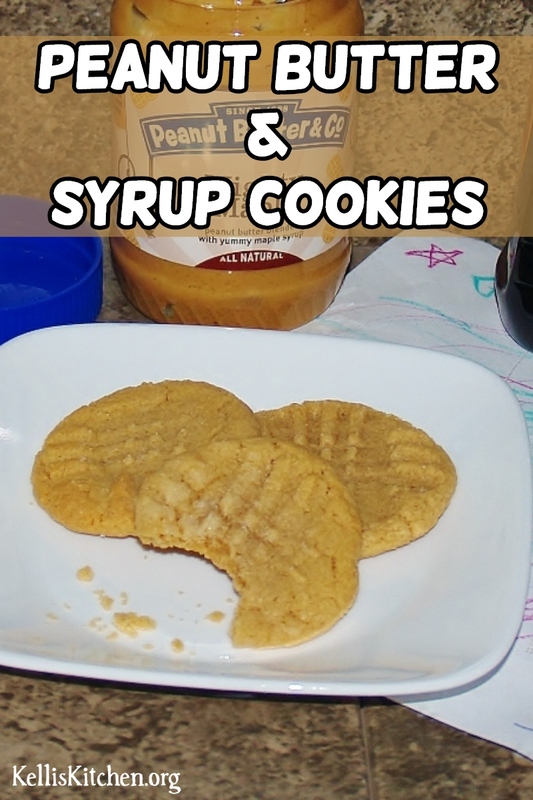 I’m not sure I would have thought to put syrup in my cookies, but it sounds awesome! I’ve never heard of peanut butter and syrup sandwiches, but that sounds like something I could totally get on board with, especially considering how freakin’ obsessed I am with PB & Co’s Mighty Maple. Seriously. It’s my favouritest peanut butter in the world, and I love the idea of using it in such a simple cookie. Great idea! I looove PB&CO! These cookies are fantastic!